Question: What is the best picture that your camera you have built taken? Asked by SpaldingHighSchool9S to Tom on 11 Oct 2015. This question was also asked by Emily_Emily_Evie. The sun looks fairly unexciting in the usual colours of light that we can see (the visible spectrum spanning red, green and blue). 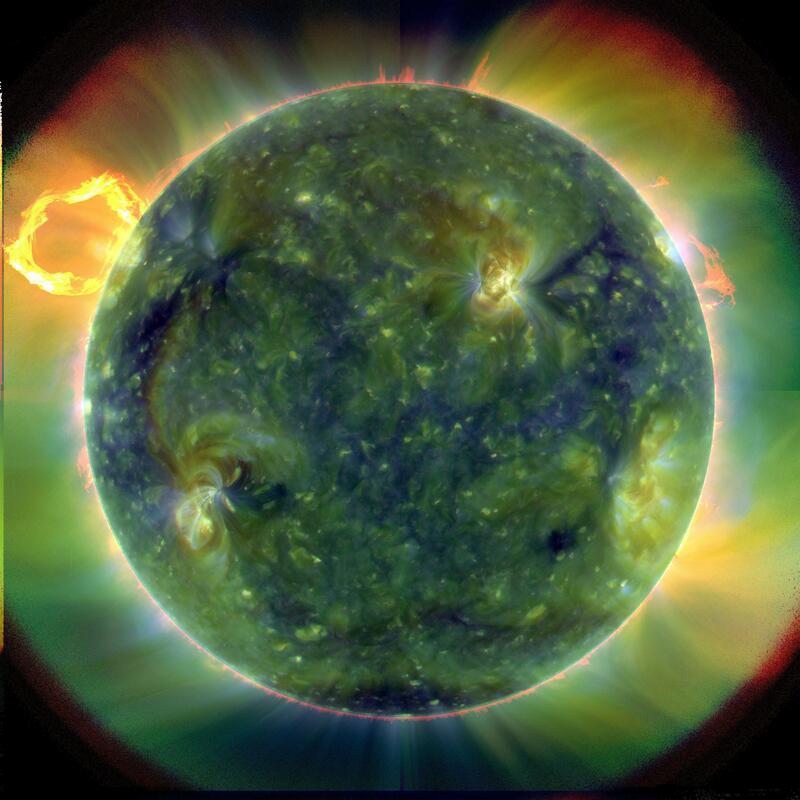 The picture above was one of the first pictures taken of the sun by cameras that I worked on, which sees in ultraviolet “colours”, and it shows just how complex and hostile the surface of the sun can be. What is your favourite Space picture? Hi this is my favourite space picture, it just has so much colour and it is amazing what you can capture from something so simple. Wow that’s an awesome photo! Do you get satalite pictures from NASA?